Huawei has launched E5151 MiFi router in various countries with un-customized firmware. Its sub-model E5151s-2 is available in Italy through Tre carrier, which can also be unlocked with correct unlock code. 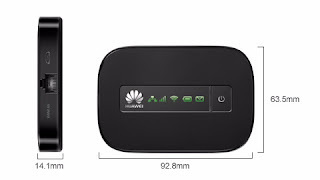 If you are an owner of Huawei E5151 3G 21Mpbs Mobile WLAN router then you have come on nice place to unlock it. HUAWEI E5151 3G 21Mpbs Mobile WiFi Router is a latest high-speed mobile Pocket WiFi hotspot. It also named HUAWEI E5151s-2, It’s a sister model of HUAWEI E5331 3G Pocket WiFi. As the latest 3G WiFi modem Router, HUAWEI E5151 Mobile 3G HSPA+ Router could work via 3G SIM card and WAN/LAN cable. It is a multi-mode wireless terminal for SOHO (Small Office and Home Office) and business professionals. Make sure your Huawei E5151 3G mobile WLAN router is fully charged. Just insert a nonacceptable Network SIM card on your device (You have to use another network provider SIM, which is currently locked to). After changing the another network providers SIM on your Huawei E5151 and switch it on. It will display “Invalid SIM” because you have used another network providers SIM. Now just establish a WiFi connection to Huawei E5151 3G modem to PC / IPAD / IPHONE / Android device. For the best results, connect the Huawei E5151s-2 router to PC and go to 192.168.1.1 and login to the device’s dashboard. Go to Advanced Settings – SIM Settings – Unlock Device – Enter Unlock Code – Click on Apply. Open the Settings – Dial-up – Unlock SIM card – Enter 8-digit unlock code in your Huawei E5151 3G router. Click OK and the device will reboot to display the new network. Now your Huawei E5151 is unlocked forever. Now you can enjoy your unlocked modem with all network around the world. Note : Don’t try to insert free / wrong codes into your Huawei E5151 (E5151s) 3G router, otherwise it will be locked permanently. You can purchase from any server or pay 2.38 USD through PayPal button and mention model with IMEI in the transaction. Correct code will be delivered within 8 hrs.